Get up to 7 free auto shipping quotes from the largest, most trusted Arkansas auto transport companies and save up to 50% on your car shipping rates at CarMoves.com. Car shipping companies in Arkansas compete for your business, which is how you can save hundreds, if not thousands of dollars on car transport services by shopping with us. Whether you're shipping a car to Arkansas, across the country, or even overseas, we can help you get the best price on your shipment - guaranteed! Read more about the following auto transport companies in Arkansas before getting a quote. Click on the name of the company to read a full review. 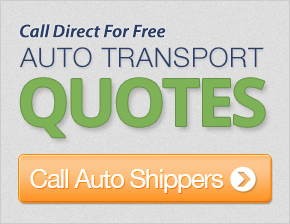 Get a free car shipping quote today to find out how much it costs to ship a car to or from Arkansas! 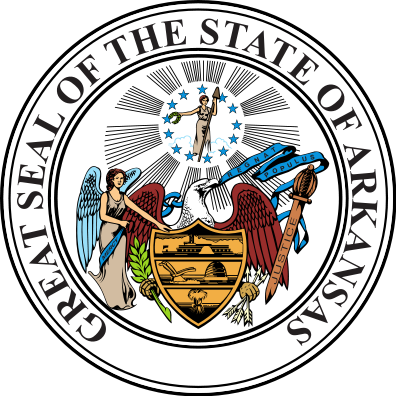 Arkansas is a Southern state bordered on the east by the Mississippi River, by Louisiana to the South, Missouri to the north, and Texas and Oklahoma on the west. The state's diverse geography features portions of state with nutrient-rich soil fertilized by the Mississippi River, and vast mountainous regions dominated by the Ozark Mountains. Large plains also cut a swathe through sections of the state. In accordance with Arkansas's diverse geographical characteristics, residents of the state also come from quite unique backgrounds. In the south and eastern portions of the state, African Americans represent a significant portion of the population. 42 percent of the residents of the state's capital, Little Rock, are blacks or African Americans. On the other hand, European Americans dominate the Ozarks in the northern areas of the state. Economically, Arkansas is home to some of the US's largest companies, including Walmart and Tyson Foods. Agriculture, including poultry and egg farming, as well as the more recently developed catfish farming, are strong contributors to the local economy. Jobs, while not particularly plentiful, are there for the state's numerous residents. The main attraction for many visitors to Arkansas is the wilderness, particularly camping, fishing and hunting. Viewing the folk music and culture of the Ozarks is also a draw for many Southerners, as well as visitors from other states and countries. Otherwise, visitors to the state can visit the capital to view museums dedicated to former president Bill Clinton and his wife, Hilary. The capital is also Arkansas's population center, containing most of the typical city attractions, including bars, clubs, and live music. Finally, Arkansas also has its fair share of educational facilities. Arkansas State University, the University of Arkansas and the University of Central Arkansas are the state's largest. While Arkansas's finest universities are primarily public-run facilities, they offer competitive degrees in popular programs. The University of Arkansas is the most prominent school in the state, as, in the last decade, the university has garnered a billion dollars in funds for opening an Honors College. The largest donation was from none other than the Walton Family Charitable Support Foundation. CarMoves.com works with car shipping companies throughout the state of Arkansas. We can help you get the best prices on car transport services to the following cities in Arkansas: Little Rock, Fort Smith, Fayetteville, Springdale, Jonesboro, North Little Rock, Conway, Rogers, Pine Bluff, Bentonville, Hot Springs, Benton and many more. If you don't see your city listed, don't worry - we can get your vehicle shipped anywhere in Arkansas. Scroll to the quote section on this page to compare free auto shipping quotes from up to 7 Arkansas auto transport companies and save up to 50% on your move! View the Arkansas State Highway and Transportation Department website for more information.